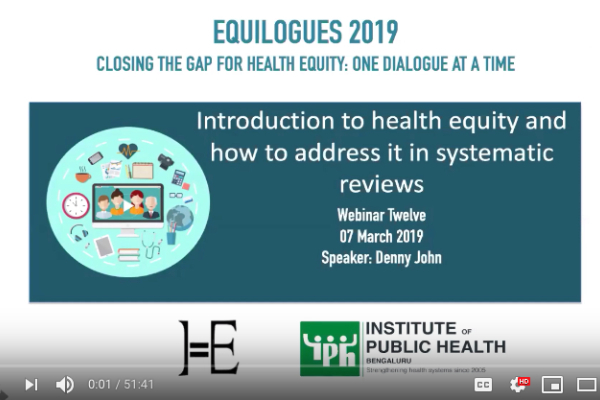 Introduction to health equity and how to address it in systematic reviews. 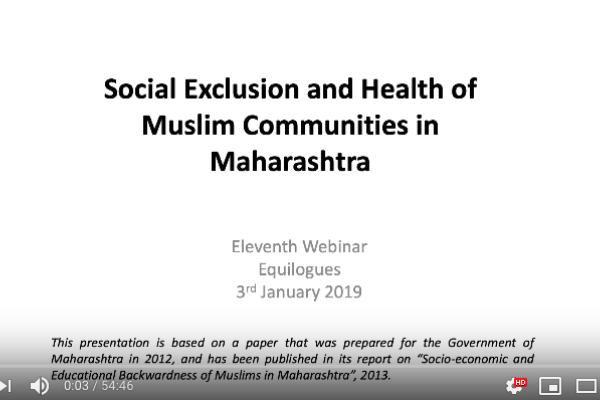 The webinar will provide concepts of health equity, and its relation to social determinants of health. The need to look at health inequity beyond a ‘Rich-Poor’ Gap, using PROGRESS-Plus dimensions in systematic reviews, will be discussed. 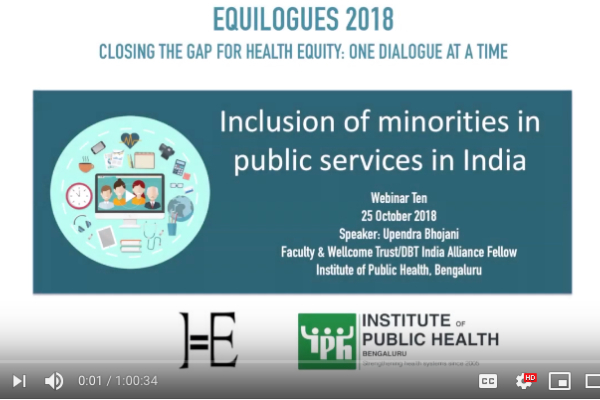 The concepts of using equity in knowledge translation efforts such as evidence summary and policy briefs will also be explained.